Challenge Your goal is to build a real electrical circuit that lights up the beacons. ELECTRICAL FUN! 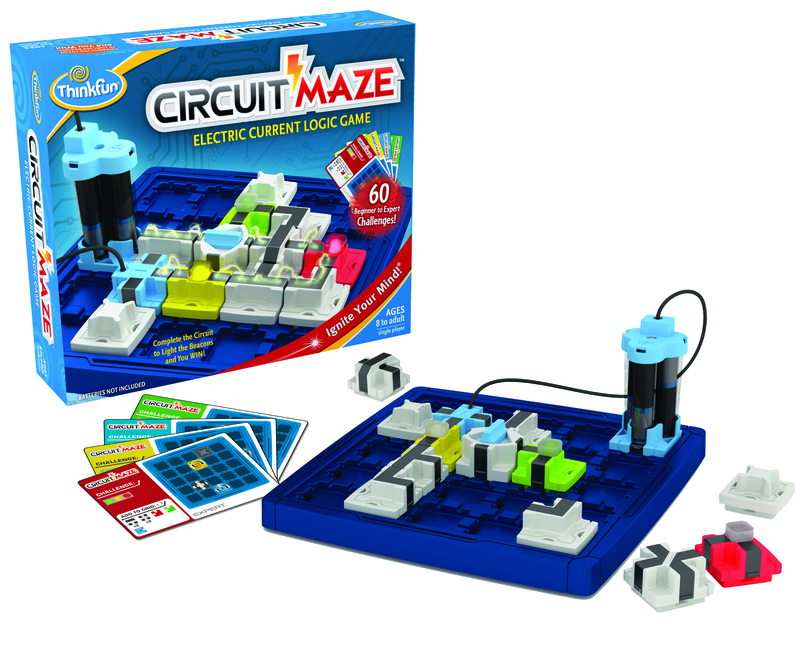 Information These 60 tricky and clever challenges offer hours of electrifying fun while discovering how circuits actually work. 1. Select a challenge card and set up the game grid to match. 2. Determine where to add the indicated tokens to the grid. 3. Position the tokens so that the Beacons light up and – YOU WIN! Includes: 1 Game Grid, 60 Challenge Cards with Solutions, Instruction Manual, and 17 Game Tokens. Batteries Not Included. 3 AAA Batteries Required. This product was added to our catalog on 14.11.2016.